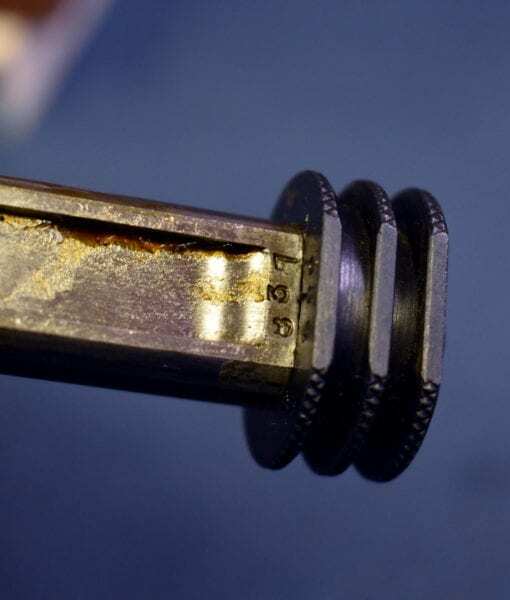 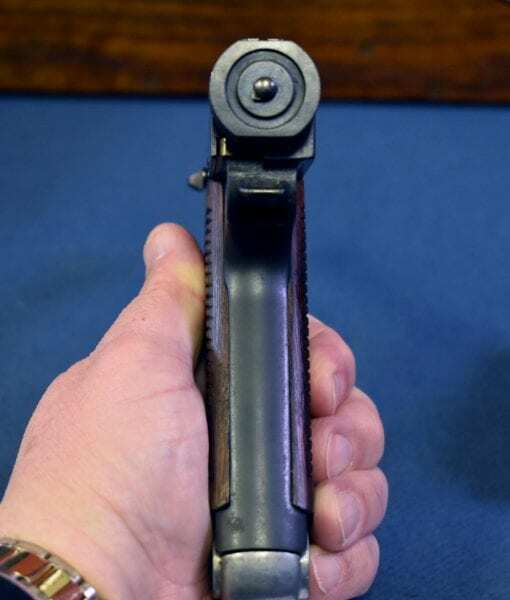 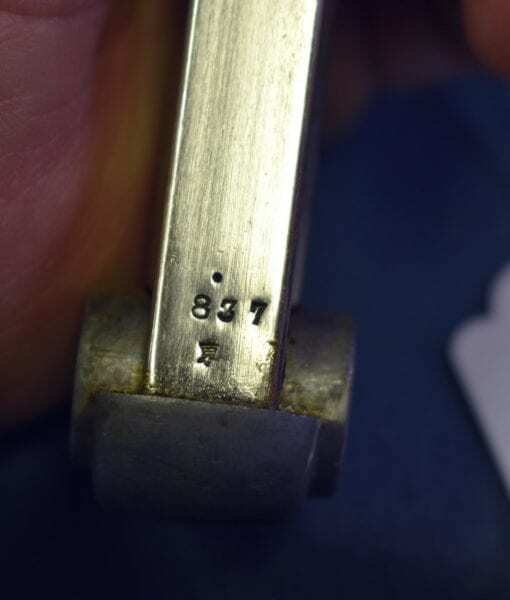 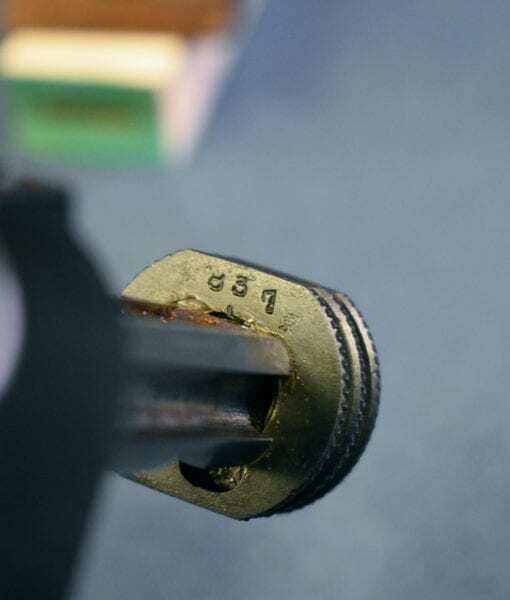 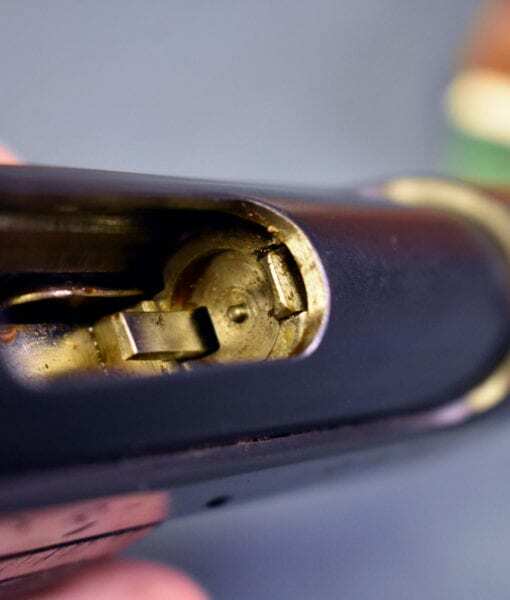 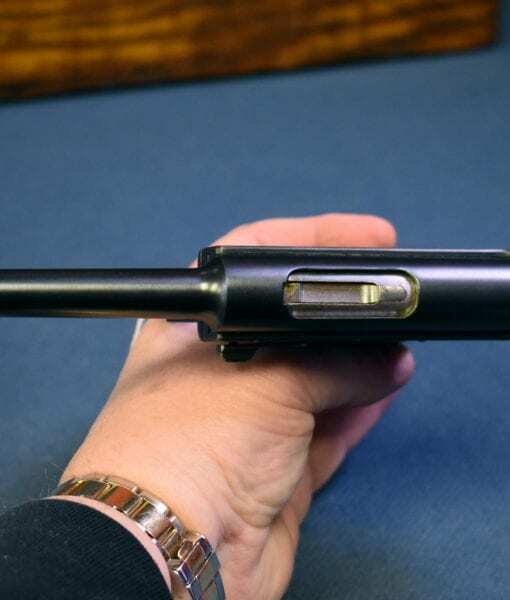 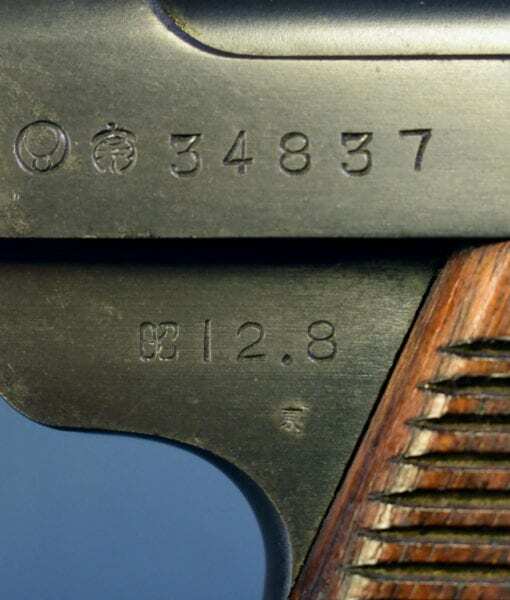 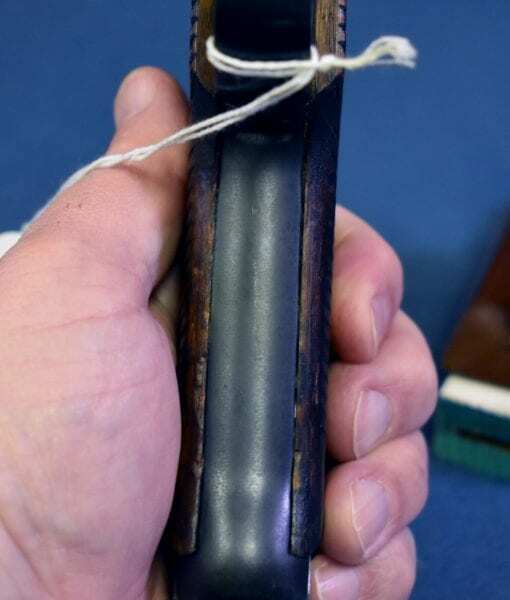 TYPE 14 NAMBU PISTOL….NAGOYA NAMBU ORIGINAL SERIES 12.8 DATE….AUG, 1937 PRODUCTION…….MATCHING MAG…..VERY SHARP! 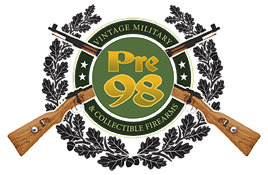 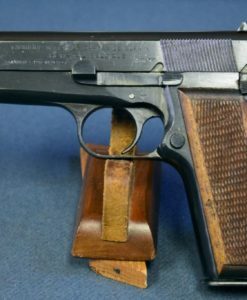 In 97% condition all matching including the magazine, we have a Nagoya Nambu Original Series Type 14 Nambu Pistol. 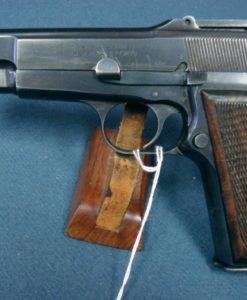 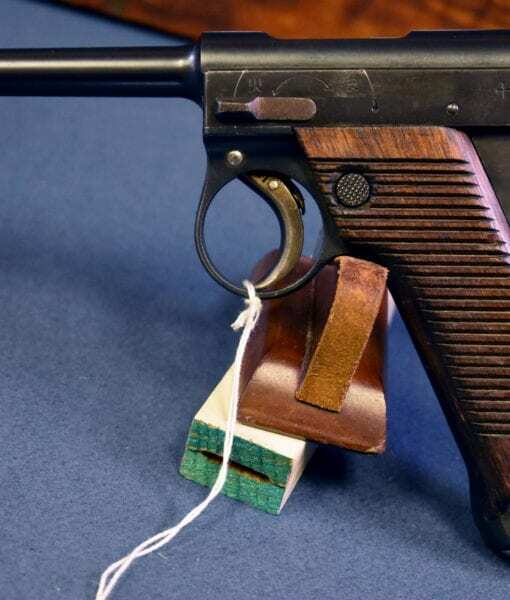 This pistol is dated 12.8 and was manufactured in August, 1937 and is what collectors refer to as the Small Triggerguard Nambu. 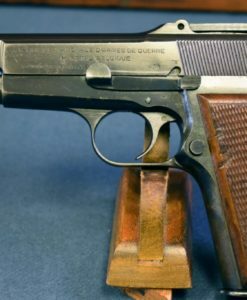 These early Pre WW2 pistols were in constant combat in China prior to WW2 and most saw hard use till the end of the war. 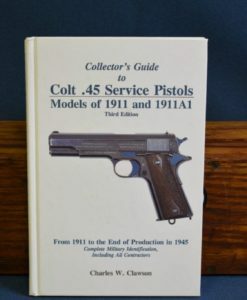 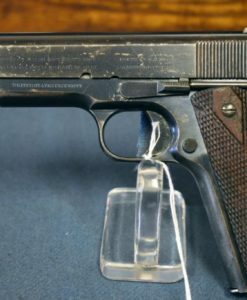 It has always been a challenge to locate small Triggerguard variation pistols that still have the factory original matching magazine. 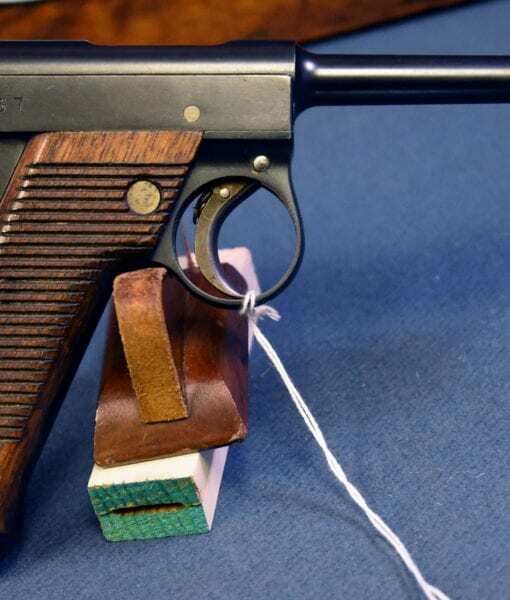 This is a very attractive top example for your collection. 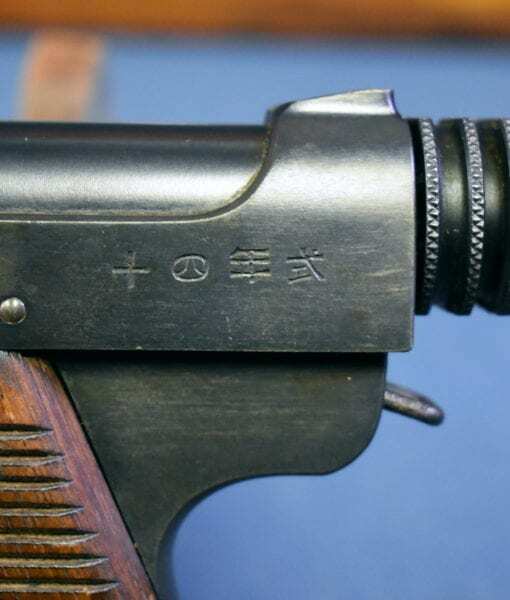 The type 14 was one of the most sought after war trophys of the Pacific Theater and this is a top example that was somebodies prized bring back.